You might remember Metro: Last Light, the sequel to the rather impressive Metro 2033, as sounding rather promising. You’ll have remembered wrongly - for THQ hasn’t really shown all that much of the game to get anyone’s appetite truly salivating. It showed a rather action-heavy sequence at E3, which looked good but made fans question whether the supernatural survival horror elements still had a place in Artyom’s new adventure. Fret not, because 4A Games hasn’t forgotten what made the original game so engaging. In fact, Metro: Last Light’s goal is simply to recreate the exact same magic of the first game, while ironing out all the mechanics kinks and clunk that made Metro 2033 fall short of being a masterpiece. Guided by THQ’s Huw Benyon, representative of 4A Games and the publisher’s Head of Global Communications for Original Shooter IPs (phew), I saw three brand new, particularly slow-paced and downright moody, scenes of the upcoming game. One was a stealth-heavy infiltration stage, which saw Artyom ducking into and out of darkness to elude guards and using a watch to determine how visible he is by his enemies. I then saw an example of a bustling station city - Venice, to be exact - which highlighted the social side of the game, allowing Artyom to purchase goods and explore the backstory of the Metro world at the player’s own pace. 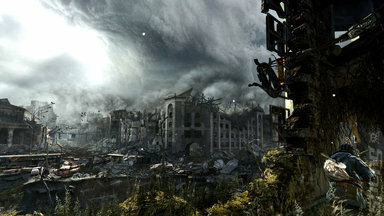 The third segment shown was of the overworld - an arresting display of a scorched Earth, but set one year after the events of Metro 2033. The difference is startling - a visible ecosystem where mutants act on a food chain basis, breaks in the clouds to reveal glimmering sunrays and an unpredictable weather system. Impressed with what I saw, I turned to Huw to learn more about THQ’s - and 4A’s - approach to Last Light. 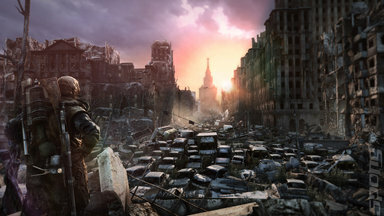 SPOnG: Artyom travels beyond Russia in Metro: Last Light - we just saw him in Venice, for example. Will Artyom travel around the world during his journey? Huw Benyon: Yeah, there will be other stations along the way. Like the first game, there’s a strictly linear level progression here. These stations aren’t exactly hub worlds or anything, where you can get fetch quests and so forth. They’re very much there to help with a change of pace. To really explore the social fabric of the Metro world. Each station in the game takes the properties of whoever existed above it. So for example, Bolshoi station in Russia is built underneath the famous Bolshoi theatre, and as a result it’s populated by actors and artists. There’s a cabaret show that you can go and see and other similar events. Some stations organise themselves depending on the factions that control them, too. 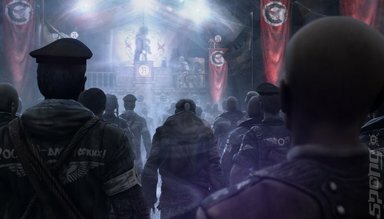 There are three factions vying for power in Metro: Last Light - the neo-fascists of Reich, who are Russian nationalists essentially modeled after Nazis; a group of hardline communists, and a capitalist organisation that’s a little less hostile towards you, but is no less unpleasant in its quest for power. SPOnG: Most post-apocalyptic games take a more open-world approach. What’s the reason for your decision against this direction for Metro: Last Light? Huw Benyon: It’s more the direction that the studio, 4A, wanted to go in. Most of the team consists of S.T.A.L.K.E.R. veterans, and they wanted to do something different from a gameplay point of view. They’ve said before how they’ve been greatly inspired by Half-Life, and so they’ve wanted to try their hand at something similarly narrative driven. 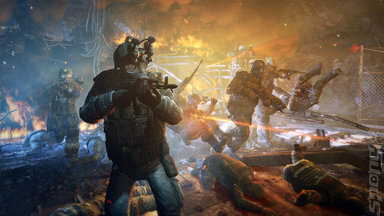 When they came across Metro 2033, it felt like a match made in heaven. I’ve had lots of people tell me that Metro would make for an amazing open world game too, and I don’t doubt that it probably would make a great one too. But at the moment, it’s just not the kind of game we’re trying to make. SPOnG: Did you guys learn anything from your past experience developing the first Metro game? What sort of things did players give feedback on to improve this time around? Huw Benyon: Just that our controls - and the implementation of some mechanics - were a little bit clunky. These guys came from a PC background to be fair. They like deep, complex gameplay with lots of gadgets and tools at your disposal, which is good for those with a mouse and keyboard setup. 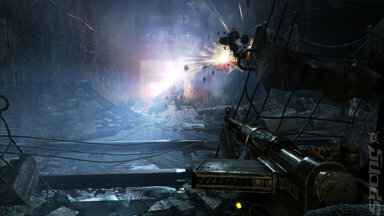 Metro 2033 was the studio’s first time implementing something so complex on a console experience. And overall, we did a pretty good job in spite of that - there’s no difference between PC and console versions whatsoever, in terms of gameplay. It’s a much more cerebral, high-brow experience, of which I certainly think there’s an audience for on console platforms. SPOnG: What about in terms of gameplay or design? Did you get any complaints from players on that front? Huw Benyon: No, not really. In terms of balance of gameplay, I think we actually locked down a pretty good formula the first time around. It was a mixture of combat, survival horror, exploration... even some light RPG elements, as well as a very strong narrative. So this time around, we’ve not fundamentally changed the DNA of what Metro is all about. We’ve made huge improvements to some of the mechanics within that though, whether it’s in the stealth or the combat. Our skill and expertise as a studio at this kind of thing is increasing. SPOnG: Last Light isn’t based off of the Metro 2034 book. Why is that? What benefits have come from being able to divert this story away from that novel? Huw Benyon: Well, Metro 2034 isn’t strictly a sequel to Metro 2033. It’s certainly not written in a similar style. Dmitry (Glukhovsky, author and creator of the Metro franchise) described 2034 to me as his attempt at writing an art house novel. I’ve not read it because it’s still to get its English translation, but apparently the plot follows three different characters - none of them Artyom, who essentially stays at home, does the dishes and mopes about existentially. Right from the start it was apparent that Metro 2034 wasn’t going to be suitable material for a video game adaptation. The first one was perfect, because it was a combination of a road trip and a coming of age story. And Artyom’s two conflicting mantras that run through his head ultimately determine which infamous ending you got too. We obviously follow the canon ending for the premise of Last Light. 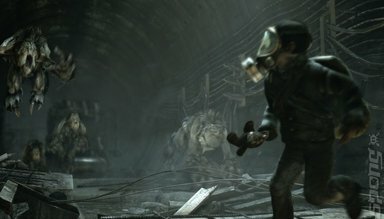 The ability to change the ending in Metro 2033 is equivalent to... a glimpse into what could have been. An impossible dream, almost. 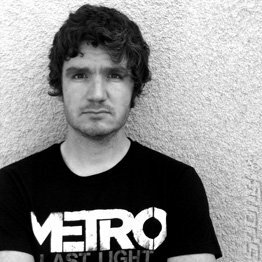 Dmitry wrote the plot for Metro Last Light for us - it’s been another very collaborative project. It’s been a slightly different experience from 2033 where again, it’s a loose adaptation of the book, but thematically we already knew what we were working with. 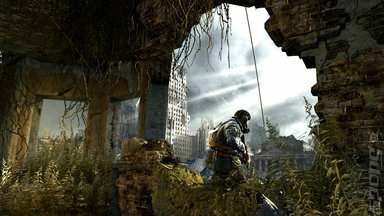 I think Dmitry was very satisfied that the message and themes of the novel came through in the Metro 2033 game as well. So this time around we have a much broader canvas with which to progress Artyom’s story and develop scenarios that suit gameplay hand in hand.